The new Sixers starting five, that doesn’t have a nickname, had an outstanding debut in beating the Nuggets and Nikola Jokic (who is doughy). Spike and Mike talk about the fit of the new starting lineup, and how the bench pieces fit in as well. Also, how insane it is that Elton Brand is the GM, which dog breed is each Sixers player most similar to, how much does ownership have to do with trade timing, and a historical ranking of trade deadlines since The Process began. The Lottery Party is coming! Newsletter subscribers will get first crack at tickets. Subscribe here. Big news! Now when you buy a Big Barker bed at bigbarker.com/ricky, you’ll get two official Process Pup iron on patches, one for your Big Barker bed, and one for your denim jacket. Of course, Big Barker beds are the only way to give your dog a real bed, that will support their joints into their older age. Dogs get arthritis just like people do, and without a Big Barker, it’s like they’re sleeping on the floor. Handmade in the USA and a 10 year warranty! 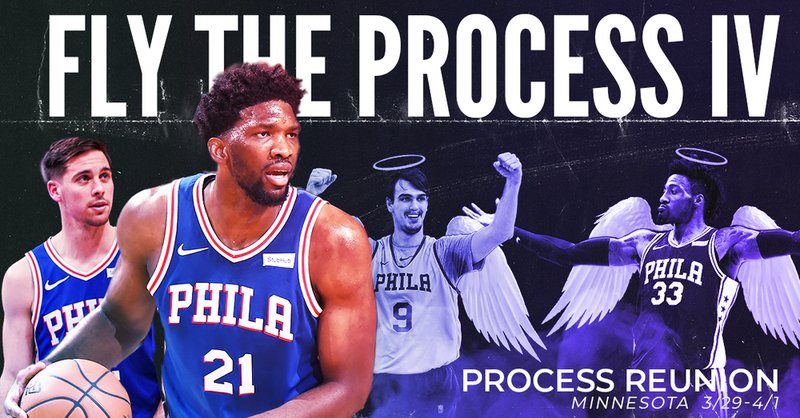 Fly The Process IV to Minnesota has less than 30 spots left! Let’s go see Roco and Dario. The trip will be March 29th until April 1st, is actually cheaper than the Atlanta trip, and will allow us to see and cheer for our old friends Roco and Dario, and maybe try to reunite the Core Four of the Process. All of the details are right here. Space will be limited, and it’s only $150 to reserve your spot. 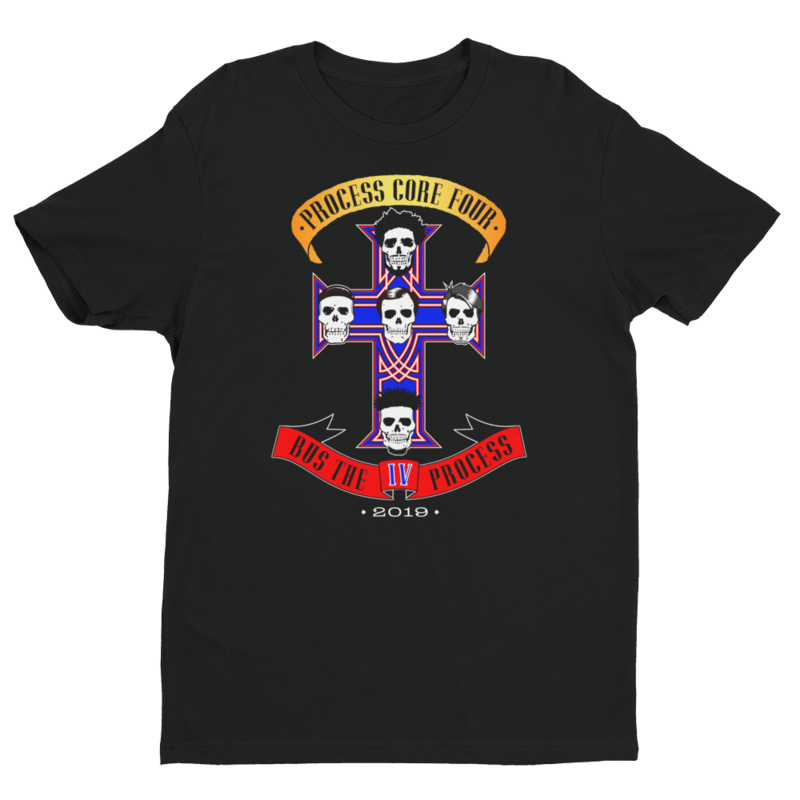 You’ll also get our Guns N Roses inspired commemorative Core Four t-shirt (Hinkie in the center, Roco bottom, Embiid top, Dario right, and TJ on the left). Reserve your spot now! If you can’t pay for the entire thing right away, that’s cool! Phans of Philly can put together a very flexible payment plan for you. Look, you could go on a normal vacation, but just about everyone knows that’s way less fun. Come and Fly The Process with us. The midwest will never be the same after this.